London Welsh have signed Guy Armitage, Josh Drauniniu and Martyn Thomas for next season's Championship campaign. 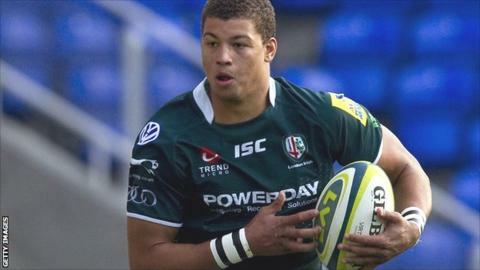 Centre Armitage, 23, returns to Welsh after three years with Premiership London Irish. Winger Drauniniu, 29, is also back at the club after scoring 15 tries in 23 Championship games in 2010-11, before leaving for Worcester Warriors. Thomas, 28, can play at full-back and wing and has played for Llanelli Scarlets and at Gloucester and Wasps. The trio are the latest arrivals as the club try to rebuild after their relegation from the top flight. Front-rowers Nathan Trevett, Koree Britton, Nathan Morris and Ben Cooper have all agreed new deals, along with former England fly-half Olly Barkley.